It is an unfortunate fact that furniture always winds up dirty and soiled eventually. In fact, sometimes it seems like the more you try to keep it clean, the dirtier it gets. Probably the only way to prevent it from getting dirty is to keep it wrapped in plastic and never use it – which kind of defeats the point of owning nice furniture. If your furniture has accumulated a fair amount of dirt and grime, we can help. Our team specializes in furniture and fabric upholstery cleaning. Our upholstery cleaning services allow you to revitalize your furniture. In a few hours time, your furniture can be looking clean and beautiful again. 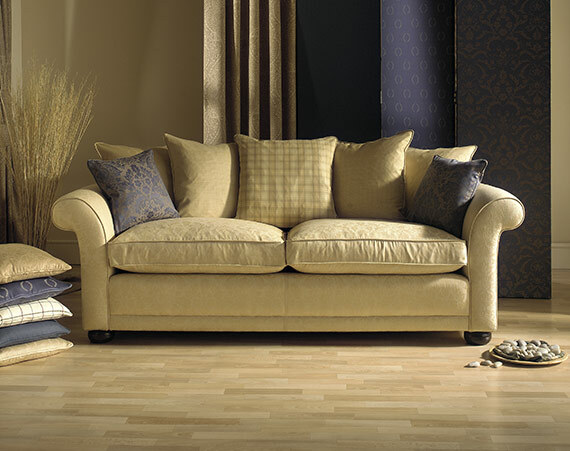 Fabric upholstery can absorb dirt and grime, contaminants that will slowly increase the degradation of the material. These particles create friction, especially when the furniture is used regularly. The more dirt and the more friction, the quicker the materials break down. Waiting long enough may mean needing to replace the upholstery. If you or your family members are sensitive to any common airborne allergens, getting your upholstery cleaned regularly is probably a good idea. Fabric upholstery can also absorb a wide range of allergies inducing contaminants, such as pet dander, dust mites and pollen. Professional upholstery cleaning services are the only way to effectively remove these allergens from the material. Fabric upholstery can act as a sponge to any liquids that come in contact with it, such as food, beverages, sweat, urine and vomit. Both pets and people are prone to accidents, which can leave your fabric upholstery smelling unpleasant. Our upholstery cleaning services knock out odors at their source. Many times the cause of the odors you are smelling are bacteria, growing from the various contaminants that have soaked into the upholstery. We clean and sterilize the material, which eliminates the odors and the bacteria. Our cleaning team is well-trained and experienced in cleaning a wide variety of fabric upholstery and different types of furniture. When we come to your home, we will look closely at what needs to be cleaned and determine a way to do it. Our approach will be customized to your furniture and the type of cleaning that needs to be done. Our company is committed to providing the best service and cleaning solutions we can to our customers. We want you to be completely satisfied with your experience – both with our cleaning services and our customer service. This is why you never have to worry about being hassled to buy something you don’t need. We provide you with the solutions you need for your specific problem, and only the solutions you need. It’s a difference we think you will appreciate. We serve clients throughout the South Houston and Galveston area. If you need your fabric upholstery cleaned, please fill out our contact form or just give us a call. We are ready to go to work for you!